Deer. They're a menace in the garden, destroying crops seemingly indiscriminately, and even the most determined gardeners can sometimes feel like handling deer is a losing battle. Ultimately, the only way you're going to effectively manage deer is by installing a fence that will keep them out, but what are your best deer fence options, and how much are they going to cost? We'll delve into that here to give you a better idea of what to expect as you consider deer-proofing your property. 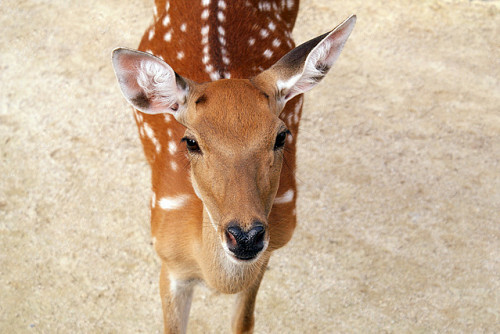 You probably already know that deer are jumpers -- white tailed deer have been clocked at 15 feet! -- but you should also know that they are prey animals. You can use this to your advantage with a deer fence, because deer don't like going into situations where there are unknown variables. If they can't see well, don't have clear lines of sight and easy paths for escape, and don't feel comfortable, they're much less likely to enter a fenced area, and that's good news for you. Typically, authorities recommend a deer fence height of 6-8 feet, but you can actually get away with a much lower fence. There are three ways to do this. One method involves using a short, tightly-spaced picket fence of around 4-5 feet. The tight spacing makes it hard to see inside, and the deer won't jump over because they will be stressed out at the thought of a potential predator inside. Another trick allows the deer to see through the fence, but creates a maze of planters and others objects inside. If the space is crowded, deer won't feel comfortable, because they won't be able to spot approaching predators and they won't have a clear escape route. That will deter all but the most determined deer, because jumping the fence could be a foolhardy enterprise. You can also double fence, a trick that's catching on in some regions of the world. In this case, you install a four foot fence, and ring it with another four foot fence about 3-4 feet away. The space between the two fences is so tight and small that deer won't want to jump it, but it's big enough for you to landscape, mow, and maintain. This trick works well for yards that would feel claustrophobic with tall fences or deer mazes. You also have some more traditional deer fence options. Wire fencing is extremely effective and affordable, although you do need to take some precautions during installation. As with all deer fencing, you'll need a post-hole digger and concrete footings for the fence posts to create sturdy support so the deer won't lean on the fence and knock it over. You will also need to maintain tensile strength on the fence, and make sure it runs all the way to the ground, because deer will happily slip underneath a fence for goodies. Plastic and wood products are also available for deer fencing. You can use them to make a traditional split rail fence or a solid fence, which provides privacy in addition to keeping deer out. If you go for the slightly less expensive plastic option, be sure to buy products rated for deer fencing; you're not installing a largely decorative barrier, but a fence that will actually keep pests out, and deer will push on fencing to find weak points. In some areas, electric fences are popular, because they deliver an unpleasant shock to unwanted four-legged visitors. The thin strands are hard for deer to see, so they collide with them when they try to cross into a garden. However, deer do learn, and they can figure out how to go over or under the fence. You may need to pair an electric fence with another type of fencing for long-lasting deer control. Depending on the deer fencing option you pick, you can expect to spend between $6 (basic electric fencing) and $30 (high-quality wood fencing) per foot on your deer fencing. Some options that can influence price other than material include the location, design specifics, and size of the fence. You might also need to pay for a fence permit from your local building authority.